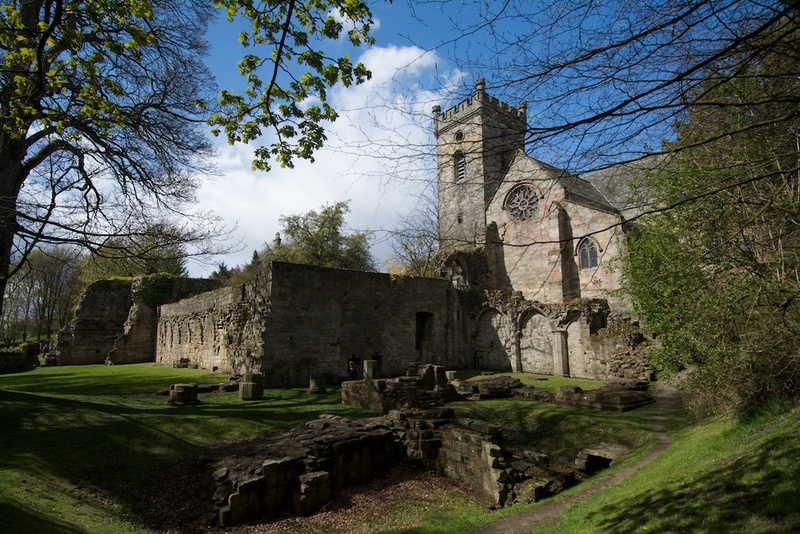 Just a short walk up the hillside from the brilliance and the opulence of Culross Palace lies an intriguing pile of ruins, watched over by a parish church. It’s a lovely, peaceful place, undisturbed except by birdsong, its broken stone walls complemented beautifully by a soft carpet of grass. 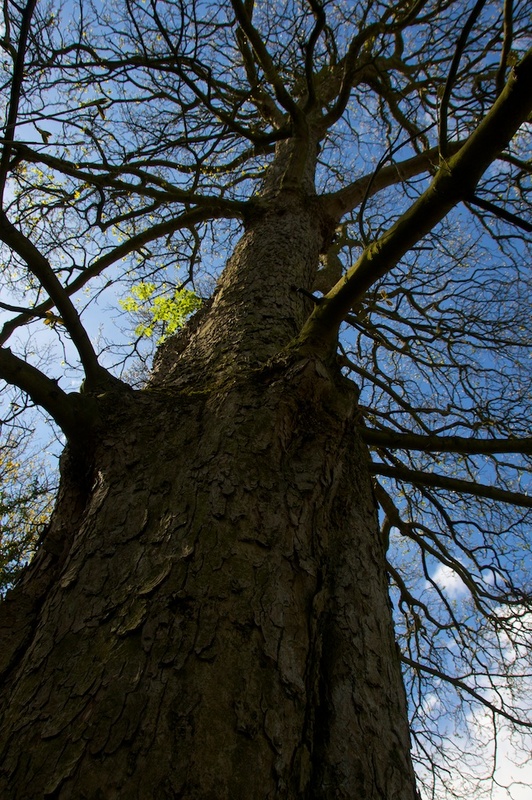 Arching gracefully above is a huge old sycamore which, in late April, was just bursting into leaf, while at its feet bluebells were nodding their delicate heads. 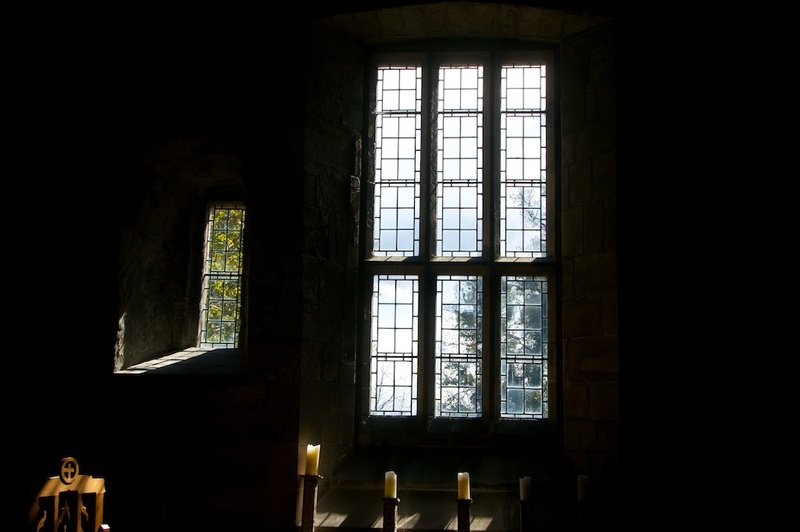 This is Culross Abbey, and it has a long and rather complicated history, so there’s a real need here to resist the temptation to drift off like Keats or Wordsworth into a careless rapture. I rather wish I had known that myself, as I walked around it. Some sources state that St Mungo, also known as St Kentigern, was born in Culross. 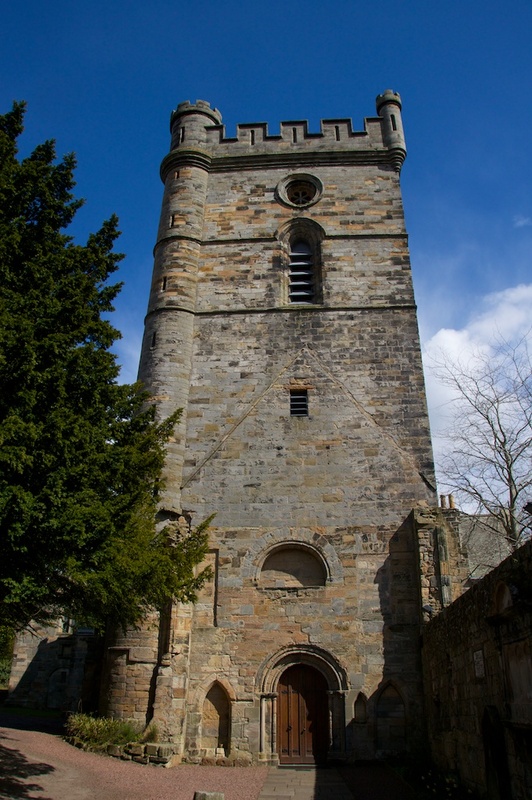 A story recounted in the 12th century ‘Life of Saint Mungo’ by Jocelin of Furness tells how Mungo’s mother, Theneva (also variously spelled Denw, Teneu or Thanea), was the daughter of King Loth of the Gododdin, an area south of Edinburgh that corresponds roughly with the present-day East Lothian. Theneva became pregnant by Owain mab Urien, son of the King of Rheged, and her father, in his fury, tied her to a chariot which he drove off the summit of a hill named Traprain Law. Finding her unharmed, he then cast her adrift in a coracle, into the Forth estuary. By some miracle the pregnant woman arrived safely on the northern shore, at Culross, where Mungo was born. According to the tale, Mungo and his mother were taken into the care of St Serf, who was preaching to the Picts in this area. 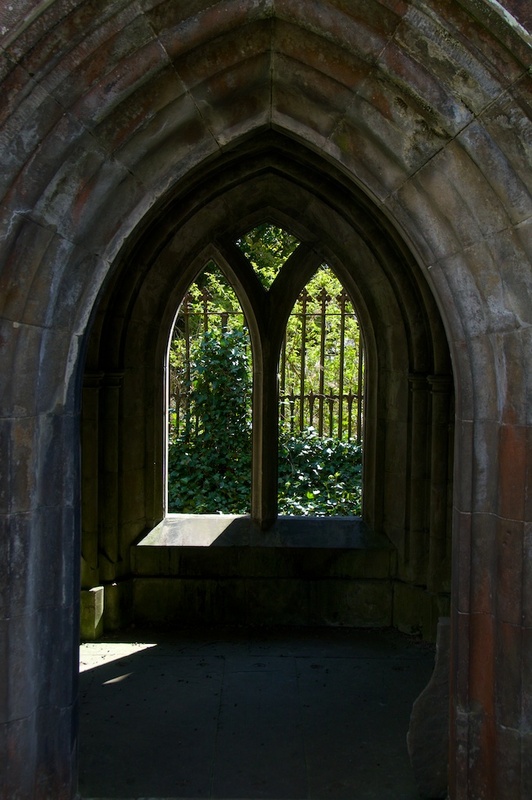 Mungo was therefore raised into a life of divine service, and he is connected with many places, including the magnificent medieval cathedral in Glasgow. There may well have been a 6th century monastery dedicated to Mungo here on the bank of the Forth in Culross; no trace of this remains, but it has been suggested that this is the reason why Malcolm, 3rd Earl of Fife, chose this spot to establish a Cistercian monastery in 1217. The layout of the monastery must have been a fairly traditional one, with a church and ranges of buildings that housed a dormitory, refectory and kitchen. The south wall of the church was incorporated into the cloister. It must have been a challenging site to build on, as it slopes quite steeply down to the sea. Sometime in the late 1400s, the focus of the monks’ activity was diverted away from community involvement and more onto the purity of worship. The tradition of lay brothers, who provided a lot of the manual labour in terms of agriculture, carpentry and blacksmithing, fell into decline. This seems to be a general reflection of changes in the Cistercian order at that time. Churches were always divided into two parts: the nave (to the west) and the choir (to the east). The lay brothers would sit in the nave, while the monks would worship in the choir. 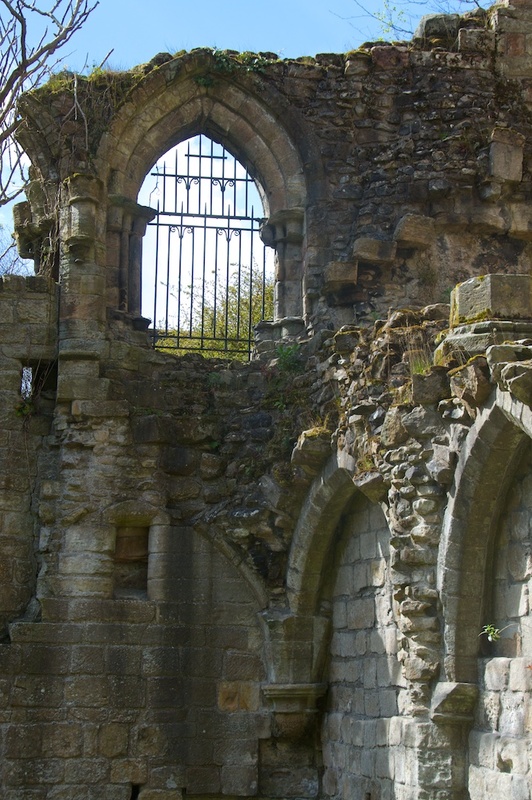 With the departure of the lay brothers, there was no need for a nave – and so, at Culross, it was demolished. An impressive 84-foot tower was built, and beneath it the new west door incorporated some of the original carvings from the earlier entrance. To get to the church, you have to leave the monastery ruins and continue up the hill, following the road around to the right. The tower makes an impressive sight, and you can still see traces of alterations in the ‘ghost’ of roof lines and different coloured stone on the west face. 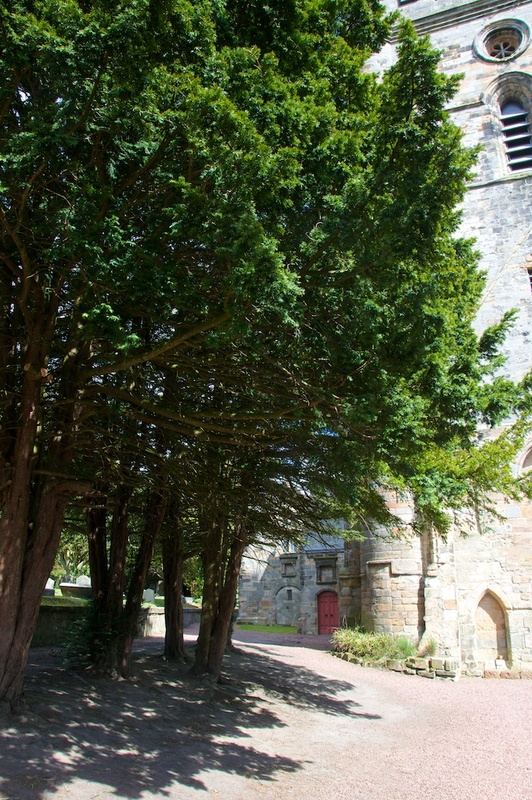 Around 1560, the Reformation dealt the final blow to monastic life in Scotland, and after it had been stripped of all its adornment the abbey church at Culross took on a new role as the parish church. Meanwhile, the monastery buildings fell into decay and no doubt provided a handy source of stone for local building work. The Bruce Vault was added to the north transept of the church in 1642, to contain the relics of local landowner Sir George Bruce and his wife Margaret. Sir George made his fortune from coal-mining, and a testament to his wealth remains in the glorious saffron-hued Culross Palace, about half a mile down the hill. The Bruce vault is notable for its effigies, and it is flanked by statues of the Bruce’s eight children, all kneeling at the tomb. 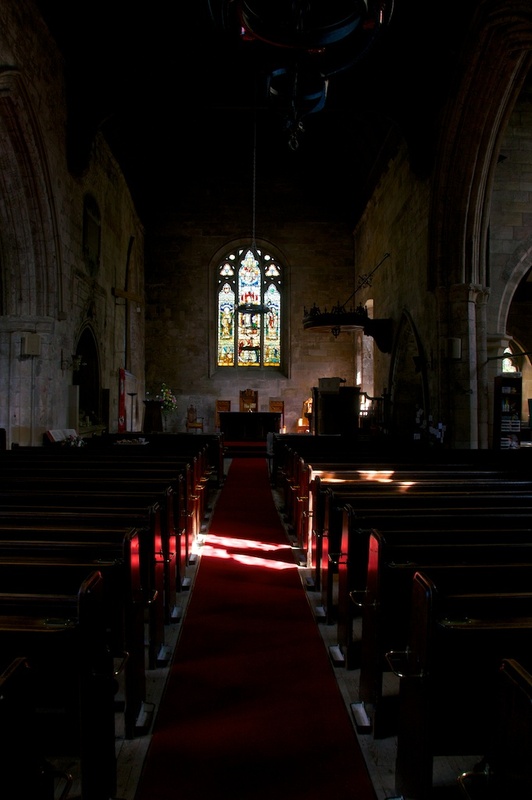 The interior of the church has that lovely timeless feeling – cool shadows, the musty smell of hymn books, sunlight pouring onto cushions and altar cloths. But it’s a living place – you can see that village life comes and goes here, as it has done for hundreds of years. The graveyard has some lovely old trees, and parts of it look ancient, although we didn’t stay long enough to inspect the stones. To the east is a small building that may have been put up as a memorial – the only other alternative is that it’s an old watch-house, but it’s certainly pretty, with a lovely arched window and door. 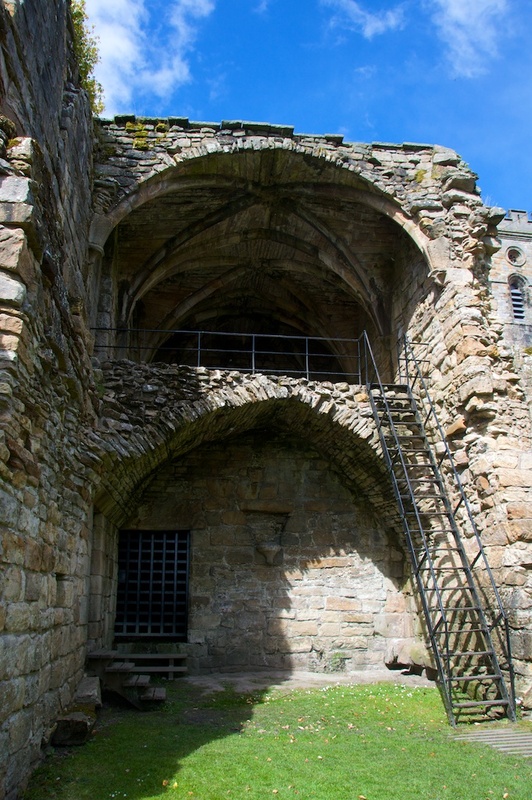 According to an old story, there’s a secret tunnel beneath the abbey, where a man sitting in a golden chair will yield treasure to the person who finds him. A blind piper was once despatched into the tunnel to look for the treasure, along with his faithful dog. The piper’s progress could be plotted by his music, which could be heard above ground; but he was never seen again, although his dog re-emerged some time later. This reminds me of a similar legend, connected with Edinburgh Castle; and I’m sure there are quite a few more! 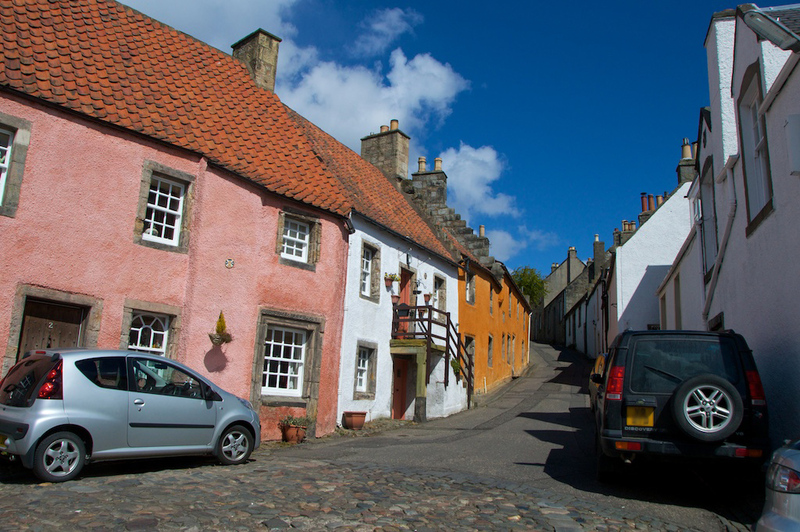 Culross is one of Scotland’s lesser-known abbeys, and it doesn’t offer the drama of St Andrews or the romance of Dryburgh, but it has a story that goes back just as far, and its charm is more intimate, as if it’s unaware of its own importance. If you’re visiting Culross Palace, be sure to take a walk up the hill and discover it for yourself. Me too! Always a lovely atmosphere in such places. Thank you so much for sharing these stories of ancient places and life in Scotland. I always wanted to travel there. Your blog has sparked my curiosity even more.